One in four ethnic minority cancer patients say hospital doctors speak in front of them as if they were not there, according to new analysis by Macmillan Cancer Support. This compares to only one in six of white British cancer patients who were asked the same question. 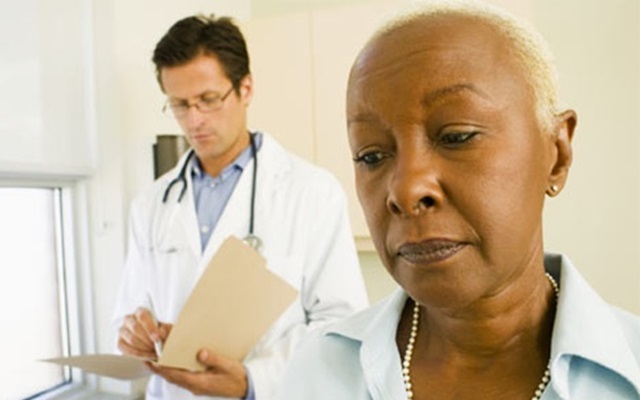 The analysis of the National Cancer Patient Experience Survey revealed that ethnic minority cancer patients were twice as likely to feel that doctors and nurses were deliberately keeping information from them compared to white British cancer patients . “Nobody explicitly confirmed to me that I had lung cancer until after I was operated on, when a tumour and part of my lung were removed. No-one seemed to want to say the word cancer to me. No one should face cancer alone. Macmillan cancer support groups offer patients an opportunity to talk to people who understand what they are going through. For more information visit www.macmillan.org.uk/supportgroups or call 0808 808 00 00.